Proper ventilation in your home helps improve the quality of your air. 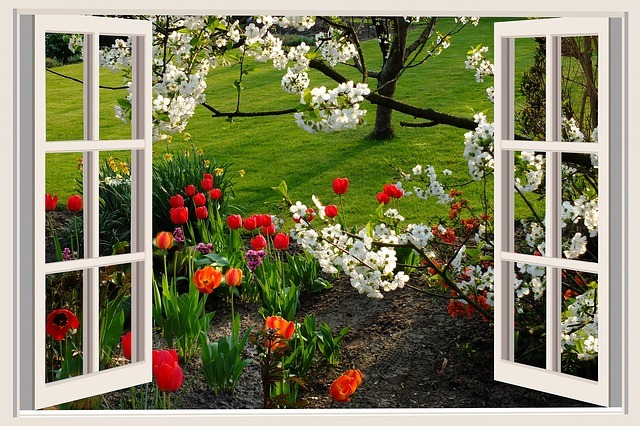 You should open your windows and doors whenever possible. Circulation from the outdoors helps filter out some of the contaminants and toxins in your home. Run ceiling fans and floor fans as much as possible too. You should also install a HEPA air filter system. This helps remove various allergens and contaminants from the air and it isn’t too expensive to purchase or install. You can also improve air quality by using fewer chemicals for cleaning in your home. Don’t purchase gallons of cleaners from the local hardware store. Instead use deodorizers like lemons or vinegar and try to clean with green cleaning solutions whenever possible. There are several abrasive toxins in the ingredients of cleaning chemicals that harm your air. You wouldn’t think it, but you can also improve your air quality if you vacuum and clean your carpet on a regular basis. Vacuum every day to remove allergens and germs off the surface of the carpet. If you don’t have time to vacuum each day, try to do so at least two or three times a week and as much as possible in high-traffic areas. For deeper cleaning, call a Fort Wayne carpet cleaner. Chem-Dry of Fort Wayne offers carpet cleaning for allergy relief to remove deeper dirt and toxins and improve air quality in your home. Our service removes over 98% of all allergens from your carpet. Our sanitizer helps to remove 89% of bacteria in the air in your home. You can breathe easier and rest assured your home is healthier after an appointment with us! Learn more at our website. Call (260) 409-1138 to schedule carpet cleaning from Chem-Dry of Fort Wayne.